And while the bureaucracies never provide any data or evidence, the Center for Freedom and Prosperity’s video is chock full of substantive information. 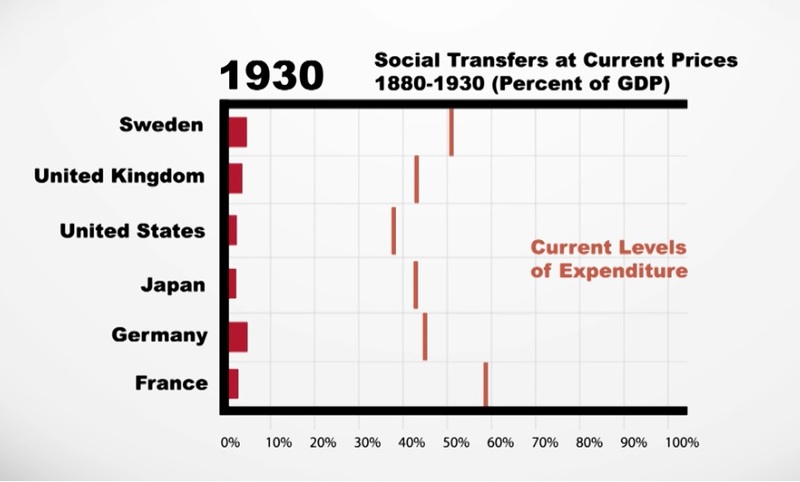 Consider, for instance, this chart showing that there was almost no redistribution spending in the western world as late as 1930. Unfortunately, the burden of government spending in western nations has metastasized starting in the 1930s. Total outlays now consume enormous amounts of economic output and counterproductive redistribution spending is now the biggest part of national budgets. But at least western nations became rich first and then made the mistake of adopting bad fiscal policy (fortunately offset by improvements in other areas such as trade liberalization). The international bureaucracies are trying to convince poor nations, which already suffer from bad policy, that they can succeed by imposing additional bad fiscal policy and then magically hope that growth will materialize. 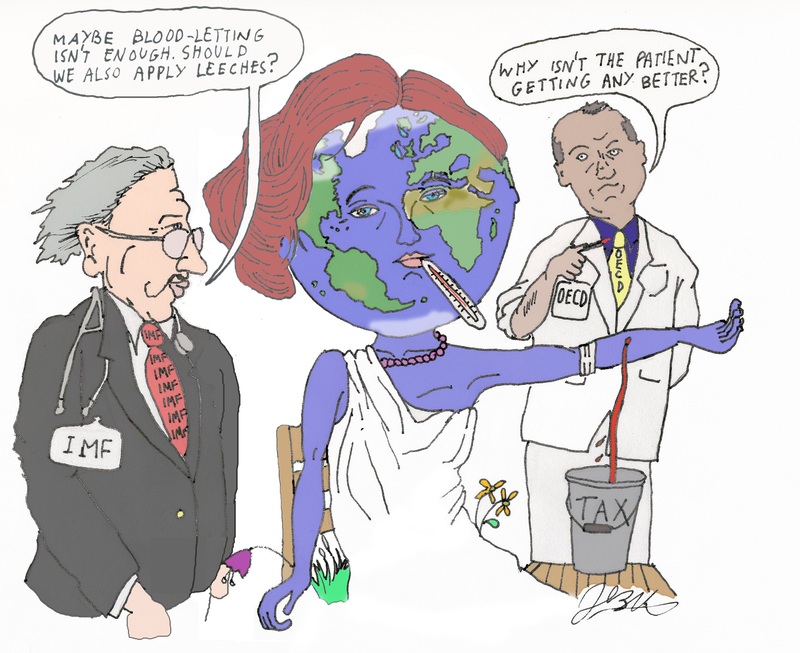 And having just spent last week observing two conferences on tax and development at the United Nations in New York City, I can assure you that this is what they really think. on April 11, 2017 at 3:39 pm 04/11/17 – Tuesday’s Interest-ing Reads | Compound Interest-ing! Correction: …this is what they really “believe”. Thinking has nothing to do with their programs.